Background: India is enduring a rapid socio-economic, demographic, nutritional and health transition. According to article 47 of the Constitution of India "the State shall regard raising the level of nutrition and standard of living of its people and improvement in public health among its primary duties". However, India has not yet overcome the problems of poverty, under nutrition and communicable diseases. Aim: The aim of the present study was to highlight the socio-economic transition along with lifestyle modifications which result in urgent health problems in majority of tribal groups. Methodology: The present study is a compilation of various studied tribal population of India by research scientists. By comparing the tribes from different geographic region and find out the reason of poverty and under nutrition among them even after providing support and funds from government and other organizations was incorporated. Results/Findings: There was a transition from their early occupation to the present occupation which imbalance life of the tribes. Shift from agriculture or hunting gathering to daily wagers was a severe shock for them which could be the reason for deterioration of their health. The mean value of majority of tribal population was less than 18.5 kg/m2 which was considered as underweight according to guidelines of WHO. Conclusion: The present study clearly showed that there is a need to identify, reorganize and reallocate resources for tribal communities, based on their requirements. The design of the development programmes and the health needs of the tribal population have to be identified keeping in mind their habitat and socio cultural practices. Malnutrition, that is the most crucial keyword for nutrition related research encompasses a wide range of deficiencies (protein energy) and excesses (over weight obesity), which are clearly associated with unfavorable health outcomes. However, one area of malnutrition that is, under nutrition continues to be a major public health problem in most of the developing countries including India  despite their continued contribution towards overweight/ obesity burden of the globe. In India, nearly 20% of the adult populations are undernourished according to a 2009 report on nutraceuticals by global services firm Ernst and Young . This global epidemic stalks India’s tribal residents the most as they are socially and economically vulnerable. India with its large and diverse tribal population witness’s wide variations with respect to nutritional status and access to and utilization of nutrition and health services, leading to myopic interpretations of causal effect notions pertaining to under nutrition. Undernourishment was observed in tribal/ rural areas or among those who were in transition from rural to urbanization. These tribal people are known as the Adivasi, who were considered as poorest in the country, and are still dependent on agriculture and fishing. They are known to inhabit in dense areas, follow a community way of living, in harmony with nature, and have an inimitability of culture, distinctive customs, traditions and beliefs which are simple, direct and non-acquisitive by nature . Government of India named them as scheduled tribe (ST) and those who were more vulnerable and backward than ST were called as primitive tribal group (PTG). The Constitution of India does not define Scheduled Tribes as such. Article 366(25) refers to scheduled tribes as those communities who are scheduled in accordance with Article 342 of the Constitution. According to Article 342 of the Constitution, the Scheduled Tribes are the tribes or tribal communities or part of or groups within these tribes and tribal communities which have been declared as such by the President through a public notification. As per the 1991 Census, the Scheduled Tribes account for 67.76 million representing 8.08 percent of the country’s population. Scheduled Tribes are spread across the country mainly in forest and hilly regions. The share of the Scheduled Tribe population in urban areas is a meager i.e. 2.4%. Madhya Pradesh, Maharashtra, Odhisa, Gujarat, Rajasthan, Jharkhand, Chhattisgarh, Andhra Pradesh, West Bengal, and Karnataka are the state having larger number of Scheduled Tribes. These states account for 83.2% of the total Scheduled Tribe population of the country. Assam, Meghalaya, Nagaland, Jammu and Kashmir, Tripura, Mizoram, Bihar, Manipur, Arunachal Pradesh, and Tamil Nadu account for another 15.3% of the total Scheduled Tribe population. The share of the remaining states / union territories is negligible . There is a consensus that the health status of the tribal population is very poor and worst because of their isolation, remoteness and being largely unaffected by the developmental processes going on in the country. The tribal population is at a higher risk of under nutrition because of their dependence on primitive agricultural practices and also transition of occupation as daily wagers and irregularity of food supply. Insufficient food intake leads protein energy malnutrition (PEM) and chronic energy deficiency (CED). During the field work children from Bhotia tribe were observed to be suffered from PEM. Their assessment for the same was not done due to lack of time and funds. Nutritional status is an important tool to study health of any population. It largely depends on the consumption of food in relation to the need and requirement. Some of the studies showed a relationship between the tribal eco-system and their nutritional status [5-7]. Nutrition has been found to be associated with many morbidity conditions and mortality as well . Low socioeconomic status and poor dietary pattern with negligible intake of vegetables and fruits, is a pointer of greater health threat. The present study highlights that socio-economic transition along with lifestyle modifications can result in urgent health problems even in majority of tribal groups. There is a drastic socio-cultural and economic shift among tribal populations from agriculture to daily wage earning especially in urban sector, adopting unhealthy diet which could have resulted in early appearance of obesity related health problems among this primitive tribal group. Nature based economy and consistent rainfall shortage has lead to wage earning and migration among such population at an alarming rate. Changes in economic status, eating habits, food selection and physical activity of population indicate the importance of environment, nutrition and metabolism in early mortality. On one hand they are fighting with hunger and infectious diseases due to poor basic health amenities and on the other hand they may also be burdened with the costly treatment of diabetes and hypertension considered to be disease relegated among the affluent societies so far. The present study is a compilation of various studied tribal population of India by research scientists. By comparing the tribes from different geographic region one can find out the reason of poverty and under nutrition among them even after providing support and funds from government and other organizations. Vast work has been done by Kapoor and Kapoor [9,10] among various tribes of India. 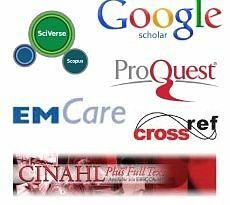 Majorly, their work was gathered and compared with other researchers. They covered parts of North (Uttrakhand: Rajis and Bhotias), West (Rajasthan: Mina; Gujrat: Tadavi), Central (Madhya Pradesh: Saharia) and South (Odisha: Nolias, Desia Khond; Nicobar Island: Car nicobarese) India, which may give a clearer picture of tribes of India. With the reference of the above work and other secondary works, the role of under nutrition among various tribes has been represented. Tribal populations are particularly vulnerable to malnutrition due to their traditional socio-cultural practices and low literacy level. Education is one of the most powerful means of bringing socio-economic development among Scheduled Tribes which should be promoted and encouraged. As educational development is a stepping stone to economic and social development, and the most effective instrument for empowering the tribal. Few tribal groups from different parts of India were included in the present study. It was found that except Car nicobarese from Nicobar Island, rest of them were daily wagers, with low literacy rate and income. There was a transition from their early occupation to the present occupation (Table 1). This transition also imbalance the life of the tribes. Shift from agriculture or hunting gathering to daily wagers was a severe shock for them. During this transition, health of the tribes was highly affected. They were force to adapt a totally different environment and have to change their basic amenities and way of lifestyle. This change lowers their socio economic status and they become weaker than earlier. They compelled themselves to shift or adapt the cultural values of urbanization. Like, Car Nicobarese were well developed because of the support of Christian missionaries and awareness of government policies but unfortunately this help not reached to other vulnerable tribal people. No proper medical facilities were provided to them. Out of around 650 groups of tribes of India, very few acquire benefit from government policies to live their life better. While rest were suffers a lot. In today’s scenario, either they were undernourished due to lack of proper food or overweight due to impact of urbanization which introduce junk unhealthy food to them which increases the risk of life style diseases among them. Table 1: Comparison of literacy rate, income, present and early occupation of various tribes of India. Car nicobarese (Nicobar Island) ↑ ↑ Government sector Gardeners (mainly coconut) Kapoor et al. Nolias (Orissa) ↓ ↓ Fishing/daily wagers Fishing Kapoor et al. Mina (Rajasthan) ↓ ↓ Horticulture and agriculturist Hunting and Horticulture Kapoor et al. Tadavi (Gujarat) ↓ ↓ Laborers Hunting and gathering Kapoor et al. DesiaKhond (Orissa) ↓ ↓ Agriculturist, laborers, daily wager Shifting and plane land cultivation Kapoor et al. Rajis (Uttranchal) ↓ ↓ Daily wager as carpenter, agriculture Nomadic, hunters and gatherers Kapoor et al. Saharia (Madhya Pradesh) ↓ ↓ Landless laborers and daily wagers Shifting cultivation, hunting and gathering Kapoor et al. The primitive tribes are generally at subsistence level of economy. Their economy is largely influenced by the habitat in which they are dwelling and the level of knowledge possessed about the natural resource, and the technology used for exploitation of these resources. For the population with diverse ethnic group, body mass index (BMI) is widely accepted as one of the best tool to assess nutritional status [11-14]. Table 2 showed mean and standard deviation values of BMI of various tribes of India studied by different researchers. Kolam Maharastra 19.9 ± 2.19 19.3 ± 2.12 Gandopadhya et al. Car nicobarese Nicobar Island 21.9 ± 1.48 - Kapoor et al. Rajis Uttranchal 16.6 ± 0.15 - Kapoor et al. Table 2: Mean and standard deviation of body mass index (BMI) among different tribes of India. It was noticed that mean value of majority of tribal population was less than 18.5 kg/m2 which was considered as underweight according to guidelines of WHO 2003 . Toto tribe of West Bengal and Car Nicobarese of Nicobar Island showed mean value of normal range (21.3 and 21.9 kg/m2 respectively) while Bodo, Desia Khond and Nolias from Orissa (18.5, 17.6 and 16.8 kg/m2 respectively), Kamar from Madhya Pradesh (17.9 kg/m2), Tadavi from Gujrat (18.1 kg/m2), Mina from Rajasthan (17.5 kg/m2), and Rajis from Uttranchal (16.6 kg/m2) showed mean values of BMI lower than the normal range. Data was also collected for different age groups of tribal population. It was clearly found that except Car Nicobarese, in other tribes under nutrition increase with increasing age (Figure 1). 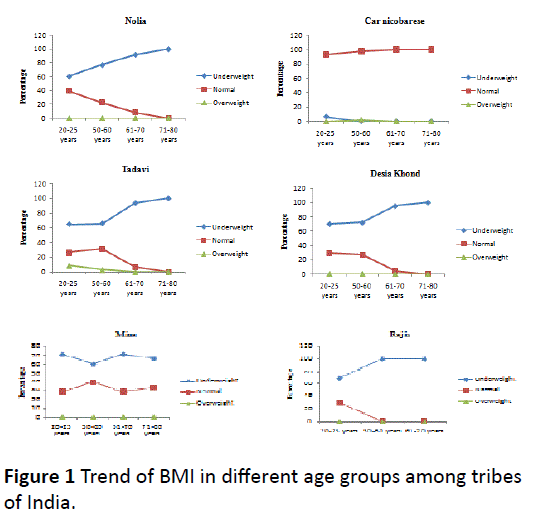 Figure 1: Trend of BMI in different age groups among tribes of India. Comparison of frequencies of body mass index (BMI) between various tribal groups of different age groups also showed in Figure 2. In the graphs, it was clearly shown that the present study tribal groups showed higher percentage of undernourishment. These values came due to their improper food intake and impact of modernization and urbanization. 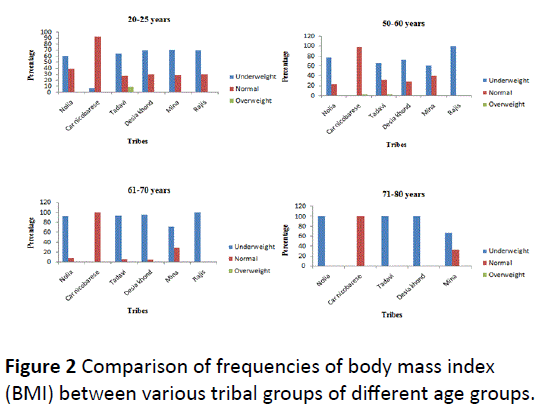 Figure 2: Comparison of frequencies of body mass index (BMI) between various tribal groups of different age groups. Earlier they used to have pure and fresh food directly from nature as majority of them were forest dwellers. They were close to nature. Now due to transition in their life they were away from nature and had adulterated food which affects their health. Government should take some serious steps to fight with this serious problem of under nutrition among them. • Prior to any evaluation and implementation of nutritional status improvement programme, the food habits and cultural factors related to the diet of women during pregnancy and lactation and also of growing children should be considered. • Providing supplementary food to any group in the society is not the lasting answer to their nutrition problems as long as ignorance, superstition, taboos etc remain attached to the type of food eaten. • Emphasis should not only be made on the amount of calorie intake only but also on balanced diet. Merely increasing the number of health care facilities and inflow of technical manpower is not going to solve their health problems. There is a need to train the paramedical staff posted in the tribal area to understand the specific health disorders occurring in them and be able to treat them. The health education regarding proper nutrition has to be taken very seriously. Government schemes for their nutritional diet should be spread through street plays, advertisements etc. and medical staff should help them to aware about the intake of good nutritious food to make them healthy [18,19]. Government should focus on the evaluation of applied strategies pertaining to health and nutritional needs of tribes of India in the context of diverse and changing demographics. They should start a programme to demonstrate the role of nutritional status and social variables in improving the health, and quality of life among them. Meshram II, Arlappa N, Balakrishna N, Laxmaiah A, MallikarjunRao K, et al. (2012) Prevalence and determinants of undernutrition and its trends among pre-school tribal children of Maharashtra State, India. J Trop Pediatr 58: 125-132. Jason (2011) Global Nutrition Market, Obesity and World Health. Posted. In: Health. Grimes RL, Husken U, Simon U, Venbrux E (2011) Ritual, Media, and Conflict (eds) Oxford University Press, New York, United States. Rao HD, Rao MK. (1994) Levels of malnutrition and socio-economic conditions among Maria Gonds. J Hum Ecol 5: 185-190. Tiwari MK, Sharma KK, Bharati S, Adak DK, Ghosh R, et al. (2007) Growth and nutritional status of the Bharia--a primitive tribe of Madhya Pradesh. CollAntropol 31: 95-101. Kapoor AK, Tyagi R, Kapoor S (2009) Nutritional status and cardio-respiratory functions among adult Raji males, a hunter gatherer tribe of Indian Himalayas. AnthropolSci 117: 1-7. Park K (2002) Textbook of Preventive and Social Medicine BanarsidasBhanot, Jabalpur, India. Kapoor S, Dhall M, Kapoor AK (2010) Nutritional Status and Ageing among populations inhabiting varied geographical regions in India. Biennial books of EAA 6: 85-100. Kapoor S, Tyagi R, Saluja K, Chaturvedi A, Kapoor AK (2009) Nutritional Profile and Socio-Economic Status of Saharia, a Primitive Tribe of India. Open Anthropol J 2: 58-63. Shetty PS, James WP (1994) Body mass index. A measure of chronic energy deficiency in adults. FAO Food Nutr Pap 56: 1-57. Khongsdier R (2001) Body mass index of adult males in 12 populations of northeast India. Ann Hum Biol 28: 374-383. Kapoor AK, Dhall M, Tyagi R (2010) Nutritional Status and Ageing among Car Nicobarese and Nolia Males of India. Open Anthropol J 3:155-160. 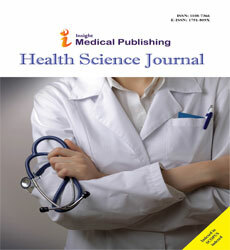 Kapoor AK, Kaur J, Dhall JK, Dhall M (2010) Ageing, Health and Tribe: A Socio-Psychological Dimension. Indian J PhysAnthropol Hum Genet 29: 59-71. Kapoor S (2001) Anthropology and Nutrition. In: Tripathy KC,Behura NK (eds) Bio cultural frontiers of man. 129-137. Bhattacharya KK, Haque M, Biswas TK (2006) Nutritional status of two primitive tribes of eastern India. In: P.Dash Sharma, Anthropology of Primitive Tribes of India 323. Gandopadhya P, Gandopadhya S (2006) A study on nutritional status of Kolam of Maharashtra. In: P. Dash Sharma, Anthropology of Primitive Tribes of India 460. Gandopadhya S (2006) Nutritional status of the Kamar of Madhya Pradesh. In: P.Dash Sharma, Anthropology of Primitive Tribes of India 412.